Numbers painted along the sides of racecars are used to identify the drivers. In many cases, these numbers have a unique meaning to both the driver and the audience. 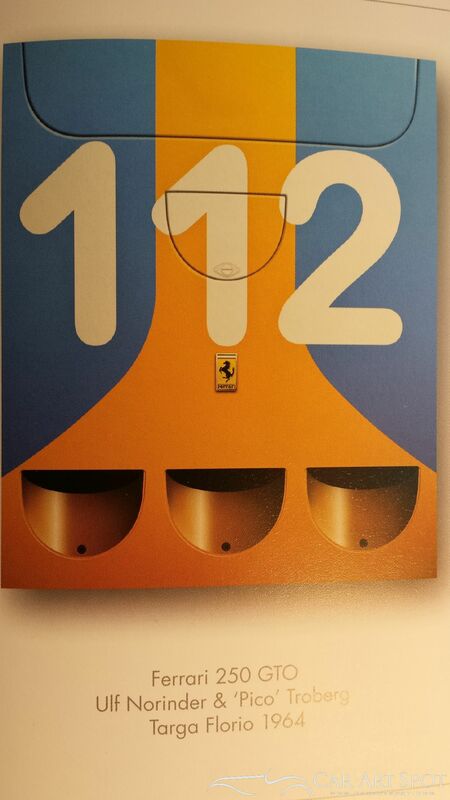 The Book "Racing colours" shows the interpretation of these numbers into artworks created by Simon Owen. 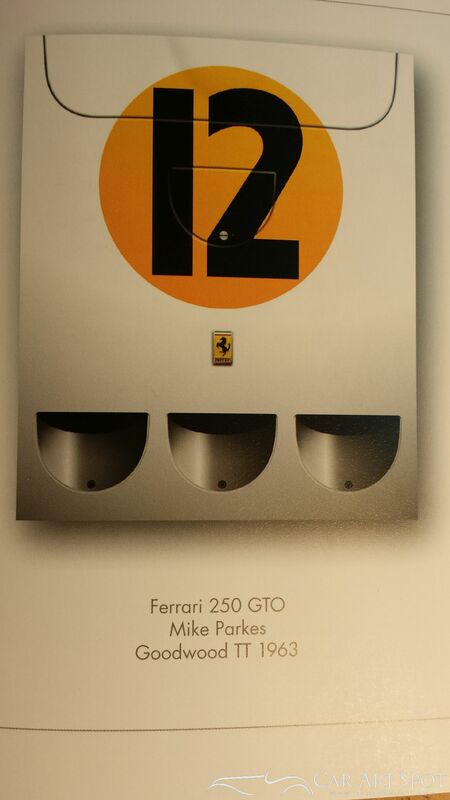 Author and motorsport enthusiast Simon Owen was fascinated by this element of the racing history and dedicated a whole series of artwork to these numbers. Although the majority of his previous work is watercolour painting, Simon turned to his Apple computer to create this series. 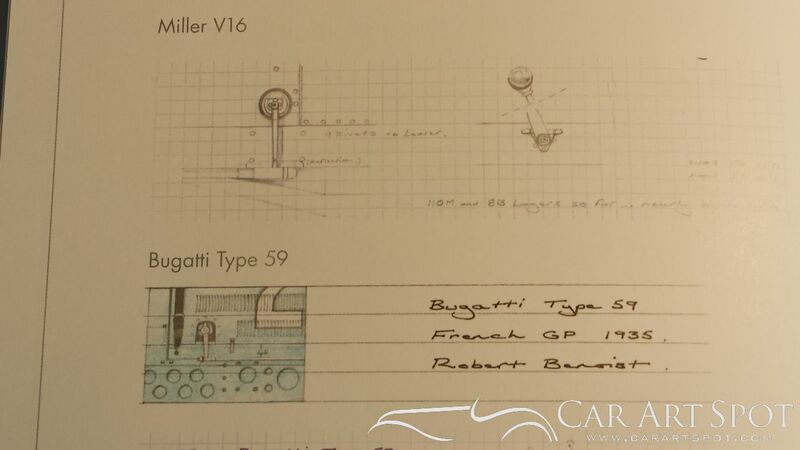 Simon has always found inspiration in heraldic shields, Napoleonic uniforms, football kits, and flags as well as the bold numbers and colours that dominated the racing cars. 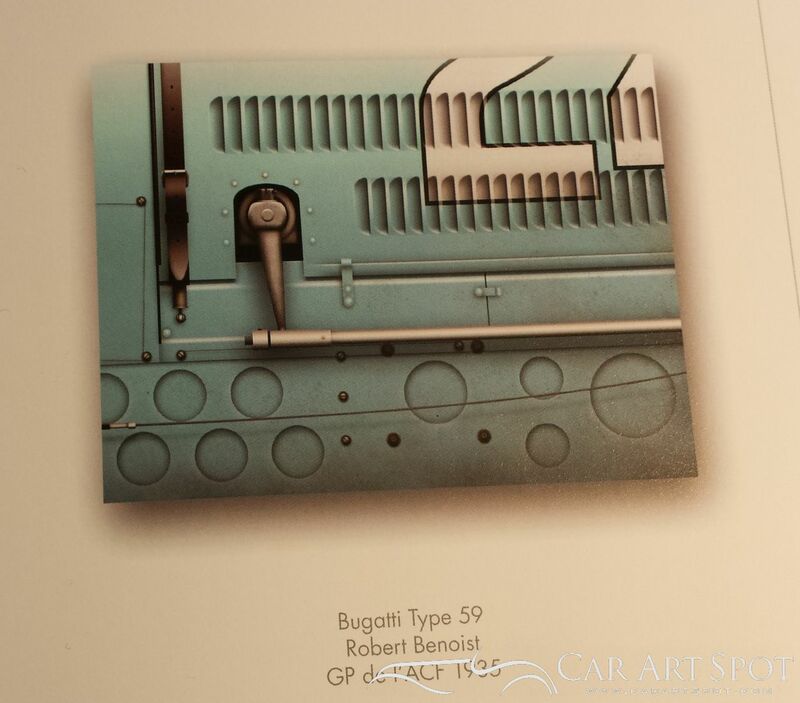 He only uses small sections of the car to create vibrant, striking images, depicting the characteristic elements of each car alongside the bold colors and numbers. For Simon these creations must be much more than a simple picture of piece of art. Each image had to reflect the story behind the racer and the racecar portrayed. 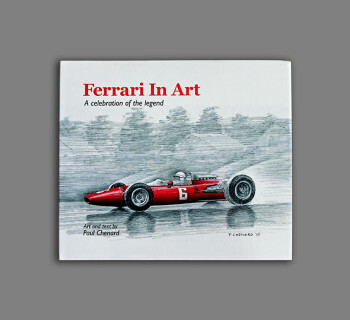 And what better way to express this sentiment than through the quotes of famous individuals like Niki Lauda, Jacky Ickx and Stirling Moss. These quotes give the book a unique and inspiring extra dimension. Racing Colours: Motor Racing Compositions 1908 – 2009 is a composition of Simon Owen’s work and, as such, an incredible tribute to this artist. 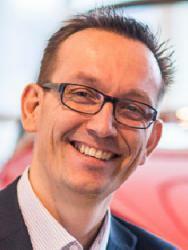 Simon passed away in 2009 before he was able to finalize the book. The last section of this book shows a kind of insight into Simon’s studio, showing his sketches and preparation for each piece of art. 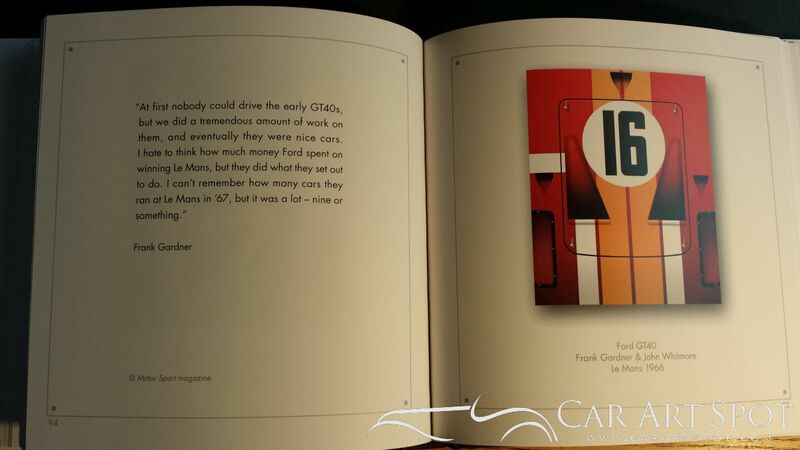 Racing Colours is a wonderful book for both racing fans as well as the automotive art audience. 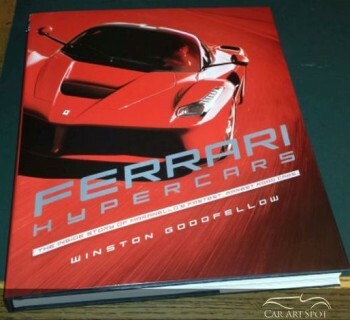 The book is availale at Veloce and on Amazon .